We have been asked to announce the death of Stella Mary White, aged 96 years, formerly of Colby. She passed away on Wednesday 27th June 2018 at Abbotswood Nursing Home, Ballasalla. Beloved wife of the late Mark. The Requiem Mass will be held at St. Marys R.C. Church Castletown at 12.00pm on Wednesday 11th July 2018. Family flowers only please. For further information regarding donations in lieu of flowers please contact Cringle & Co Ltd, Southern Funeral Service on 833602 or 824134. We have been asked to announce the death of Susan Ann Kelly. She passed away on Monday 25th June 2018. She leaves a Husband Bobby, Mother of Andrew, Robin, Jayne and Lesley. A dear Grandmother and Great Grandmother. 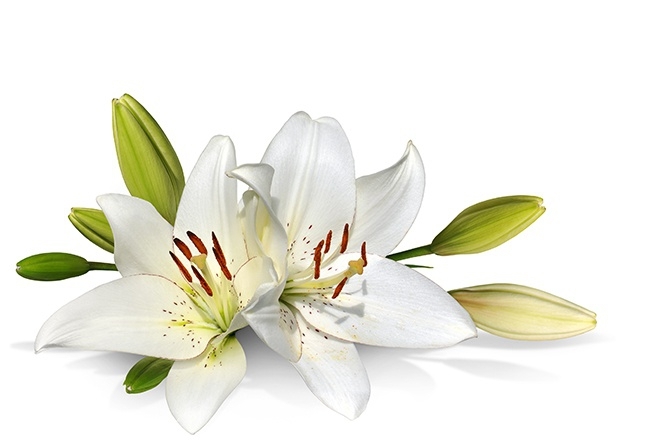 The Requiem Mass will be held at St Marys RC Church, Douglas on Tuesday 3rd July at 12noon. Family flowers only please. For further information regarding donations in lieu of flowers please contact Alfred Duggan and Sons on: 673328. We have been asked to announce the death of George Alan Clarke, aged 81 years, of Douglas. He passed away on Monday 25th June 2018. Husband of the late Sylvia, he leaves Son Christopher, Daughter In Law Allison, Grandad of Susan and Amy, Great Grandad of Chloe, Brother of Jean. The Funeral Service will be held at Kirk Braddan Church on Monday 2nd July at 12.30pm. Followed by interment at Braddan Cemetery. For further information please contact Alfred Duggan and Sons Funeral Directors on 673328. We have been asked to announce the death of James Robert Southward Corkill (Bob), formerly of Maughold. He leaves Wife Jenny, son Keith and daughter Alison, family and friends. The Funeral Service will be held at Maughold Parish Church on Wednesday 11th July at 11am. Family flowers only please. For further information regarding donations in lieu of flowers please contact Corkhill & Callow Tel: 813114. We have been asked to announce the death of Raymond Arthur “Ray” Connan. He passed away on Sunday 24th June 2018. Beloved Husband of Linda, much loved Brother of Elaine and a dear Brother-in-law, Uncle and Great Uncle. The Funeral Service will be held at Trinity Church, Douglas at 12.30pm on Thursday 12th July 2018 followed by cremation at Douglas Crematorium . We have been asked to announce the death of Frederick Henry “FREDDIE” Christian, aged 95 years. He passed away on Friday 22nd June 2018 at Nobles Hospital. Beloved Husband of the late Olive "Olly", devoted Father of Richard and Julia and adored Grandfather of Hollie, Faye, Ryan and Rachel. The Funeral Service and cremation will be held at Douglas Borough Crematorium on Tuesday 3rd July at 10.45am. For further information please contact Eric Faragher Ltd on: 673109 or 622897. We have been asked to announce the death of William Keith Osborn, aged 79 years, of Ballavargher House, Main Road, Union Mills. He passed away on Friday 22nd June 2018. He leaves wife Noelene, son Mark, daughter Dawn and families. The Private Committal will be held at Douglas Borough Crematorium on Friday 29th June followed by a service to celebrate his life at St Ninians Church at 12pm. We have been asked to announce the death of Ruth Anderson Nee Moore, aged 88 years, formerly of Gordon, Patrick. She passed away on Tuesday 19th June 2018 at Nobles Hospital, Braddan. Beloved wife of the late Ian, loving mother of Jenny, David, George, John and Joe, adored nanny and great grandmother. Sadly missed by all of her family and many friends. The Funeral Service will be held at St German’s Cathedral, Peel on Friday 6th July at 1pm followed by Burial in Patrick Churchyard. We have been asked to announce the death of Elaine Walker of Harbour Road, Onchan. She passed away on Friday 15th June 2018 with her family at her side. Wife of the late David, she leaves daughter Debra, son David and families. The Funeral service will be held at Douglas Borough Crematorium at 11.30amon Thursday 28th June 2018. We have been asked to announce the death of James Cyril Duncan. He passed away on Thursday 14th June 2018 at Hospice IOM. He leaves wife Caroline, daughter Cheryl , son Andrew, family and friends. The Funeral service will be held at St Pauls Church, Ramsey at 11am on Tuesday 26th June 2018. We have been asked to announce the death of Trevor Richards, formerly of Ramsey. He passed away on Friday 8th June 2018 at Hospice IOM. He leaves a Wife, family and friends. As requested by Trevor, a private funeral will take place attended by his wife and her children. We have been asked to announce the death of Margaret Vera Corrin. She passed away on Monday 4th June 2018. Daughter of the late William and Agnes Corrin, dear aunt of Janice, Valerie and Marilyn. The Funeral service will be held at Douglas Borough Crematorium at 2pm on Tuesday 12th June 2018. Nominated Charity: Marathon Court Comfort Fund. We have been asked to announce the death of Alan Harold Quartrough Clucas, aged 77 years, formerly of Lhingague, Surby. He passed away on Monday 4th June 2018 at Nobles Hospital. Beloved husband of the late Beryl. He leaves daughter Carol, sons Graham, Johnathan and family. The Funeral service will be held at Rushen Parish Church at 3pm on Friday15th June 2018. We have been asked to announce the death of Thomas Arthur “Neil” Kelly. He passed away on Saturday 2nd June 2018 at Elder Grange Nursing Home. The Funeral service will be held at Douglas Crematorium at 10.45am on Wednesday 20th June 2018. Family flowers only please. For further information please contact Eric Faragher Ltd on 673109 or 622897.